There is much talk of CBD and THC in the world of cannabis, however, there exists a myriad of other important constituents within the cannabis plant, known as cannabinoids and terpenes of which CBD and THC are just two. Some of these other cannabinoids and terpenes like CBN, CBG and THCA, have extraordinary effects and are as yet little known or discussed in mainstream media. If you look closely at cannabis you realise the plant is a veritable medicine cabinet which knows no bounds. Cannabigerol is a compound found during early development of the cannabis plant, (with test results done on plants postmaturity showing less than 1% CBG by volume). Somewhat surprisingly, it can be found in concentrations of up to 94% in industrial hemp. That is, provided it hasn’t been broken down by enzymes, heat and UV light into other, more well-known cannabinoids. CBG is an extremely important cannabinoid, being the progenitor from which other cannabinoids are synthesised. These include:- Tetrahydrocannabinolic Acid (THC-A), Cannabichromenic Acid (CBCA) and Cannabidiolic Acid (CBDA). CBG is thus a central component in both the development of the cannabis plant and the multiple effects and characteristics that medicinal and recreational users have long valued and enjoyed. Though it may not have any known psychoactive properties there is evidence that CBG can act to soothe and calm the effects of THC, reducing its psychoactive and sometimes anxiety-inducing effects, though this is far from its only use. Studies have shown that that CBG acts as a powerful antibacterial chemical, displaying remarkable efficiency when exposed to an antibiotic resistant strain of Staphylococcus, suggesting a powerful -as yet unknown- mechanism of action that certainly warrants more scientific investigation. Numerous studies have been done showing that even the relatively humble CBG molecule can have massive positive effects on the health of those exposed to it, for example it displays strong neuroprotective properties in studies on mice with Huntington’s disease, which has profound implications not only for people afflicted with Huntington’s, but also neurodegenerative diseases in general. However, this is not the limit of the possible medical benefits that CBG can bring. Studies done over decades have shown significant promise in the treatment of glaucoma due to CBG’s inherent vasodilatory properties, which result in a reduction of ocular pressure. There is even evidence that CBG has anti-cancer properties; Research done on mice has shown inhibition of carcinogenesis (the formation of cancer cells) in individuals with colorectal cancer, the implications of which show the incredible impact this may have on the quality of life of cancer patients. The potential medical benefits that CBG can bring are many and far-reaching. Studies have shown that CBG has immense anti-inflammatory and anti-depressant effects, in addition to stimulating bone growth and appetite. Clearly, far more research needs to be done on this wonderful cannabinoid as it would seem that we have only scratched the surface of the potential health benefits it could bring not only those with serious ailments, but everyone who is interested in attaining a better quality of life. Tetrahydrocannabinolic Acid, or THC-A, is the precursor of the ever-important THC molecule, responsible for the psychoactive effects many people love about marijuana. In addition, it has been shown to have incredible importance both upon the growth of the plant, and is responsible for a variety of the effects of the plant itself. THC-A is usually present in fairly large amounts in the mature cannabis plant, in distinct contrast to CBG, though similarly it has few psychoactive effects in and of itself (prior to decarboxylation into THC due to either drying or heating.) As a result of this relative lack of a “high” THCA is utilised in a wide variety of topical medication such as creams and patches, even dietary supplements, in areas where cannabis is legal, providing relief without the possibly unwanted side-effects that THC can bring for a minority (such as lethargy or paranoia). There are a variety of positive health effects that THCA can have, including a marked effect on nausea and sickness, (as studies done on rats have shown) though this is far from the only, or even most significant health benefit. There is indeed evidence that, along with CBG, THCA acts as a powerful neuroprotective compound, acting as an antioxidant and preventing significant amounts of cell death in the neural tissues of rats when exposed to a compound that mimics the effects of Parkinson’s disease. Another international study performed in 2017 corroborated these results when it came to the effect THCA has on Huntington’s disease, suggesting that THCA may be used as a way of preventing other neurodegenerative diseases such as MS and Alzheimer’s as well as treating them when symptoms are already present. Any cannabis strain with significant THC content will have previously contained THCA which will have been converted into the THC. Should you wish to obtain your own source of THCA its as simple as growing any cannabis plant with high concentrations of THC and using it without any sort of drying, heating or exposure to UV light, though in areas where medical cannabis is legal there should be a plethora of medicinal products containing THCA available. To utilise the THCA found in the plant itself it is easy to juice it, blending it or eating it raw (should it be found to be unpalatable, it is recommended that you mix it with the juices of other fruits and vegetables). Any cannabis leaves used for this purpose are best stored vacuum packed to preserve cannabinoid content. CBN is yet another little known but useful cannabinoid to be found in the cannabis plant. CBN forms naturally as a result of the oxidation of THC, or its exposure to air, over a large period of time. As such CBN is generally more bioavailable in cannabis that has been cured for a large amount of time, though it must be noted that CBN has few, if any, psychoactive effects. CBN has proven itself as a very effective solution to anxiety and stress. It would seem that the more sedative properties of CBN are excellent at combating both, and it has been found therefore that patients who suffer from anxiety may find great relief in cannabis products with high levels of CBN. These sedative properties are, in fact, the only notable psychoactive component of CBN. In clinical studies the evidence shows that these effects can be comparable to diazepam in doses around 2.5-5mg -making CBN a natural non-addictive alternative. There is additional evidence that when combined with THC and CBD in the correct ratio it can magnify the effects of both due to the so-called “entourage effect”, resulting in relaxation and easy sleep for those afflicted by insomnia and tension. However, these sedative effects are not the only use for CBN as there is evidence that it not only reduces intraocular pressure, (along with other cannabinoids like CBG as mentioned above), but can even induce cell death in breast cancer cells, thus reducing the size of tumours which has incredible implications for the fight against cancer and its prevention, though further research will be needed to fully appreciate the breadth of the health benefits that CBG can bring. 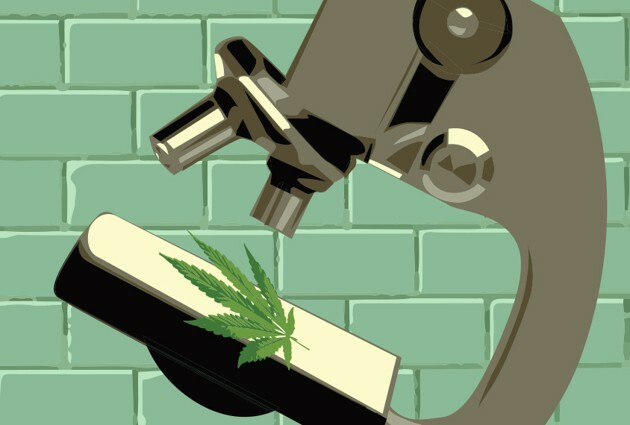 It would seem that nearly all of the major cannabinoids found in the marijuana plant have some level of antibacterial activity with studies done on the subject having shown that CBN and its fellow cannabinoids have remarkable antibacterial effects. Even microbial strains that have developed resistance to modern antibacterial agents such as MRSA, a serious problem in the medical world, are affected by CBN and its fellow cannabinoids, perhaps suggesting a greater usage by the wider medical community in the future. Though cannabinoids such as as CBN, CBG and THCA are relatively little known compared to their more famous cousins, it is clear that they have incredible and diverse medical applications that we are only beginning to understand. Along with the other minor cannabinoids found in cannabis, of which there are over a hundred, more research must be done to find the true potential of these amazing compounds. Even the little research that has already been done has demonstrated the importance of these overlooked cannabinoids, and as research mounts the evidence that cannabis is not only non-harmful, but even beneficial cannot be ignored. It would seem that both cannabinoids and cannabis have a bright future ahead of them in the world at large. In lab tests our Lemon OG Candy was shown to contain THCA, CBG (above 1%) and CBN.